The ElectroLight Backpack folds up small and weighs almost nothing but is still tough enough for whatever you’re toting. Ideal for travelers, backpackers, and students. Made of durable silnylon, it features non-slip, adjustable straps and bright, bold colors. 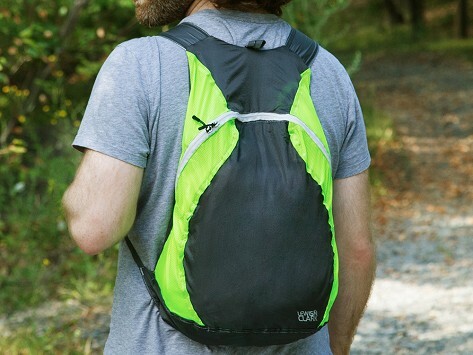 When not in use, this collapsible backpack folds into a small pouch for easy packing and storage. Dimensions: 17" x 13" x 6"; Compressed: 3.5" x 2" x 3.25"
I always have this when traveling! My son took his to Italy for a month and loved it! 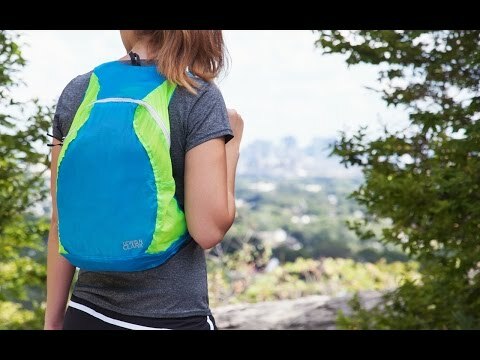 A minimalist ElectroLight backpack or duffel is a travel essential. Pull it out of the pouch or pack it in your luggage—these bags are always ready for an adventure.